Goalbowl is a healthy breakfast mix, mass-personalised to support every customer’s own wellbeing goals, building a lasting relationship through a convenient subscription service. The healthy, convenient & personal breakfast that is good for you. To validate the user hypothesis (is there a need? ), value hypothesis (does the offer solve the need?) and business hypothesis (are customers willing to pay? ), a quick experiment was launched. 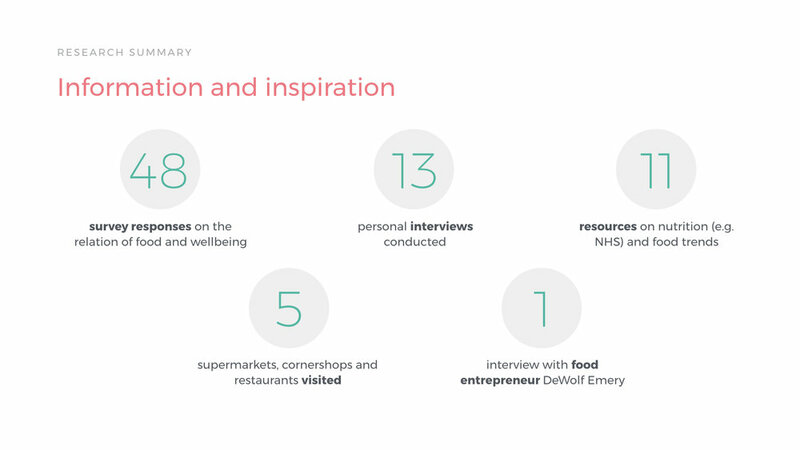 Over 4 days, paid ads targeted health conscious 18–45 year olds in the UK. This drove traffic to an MVP landing page with a simulated order funnel. 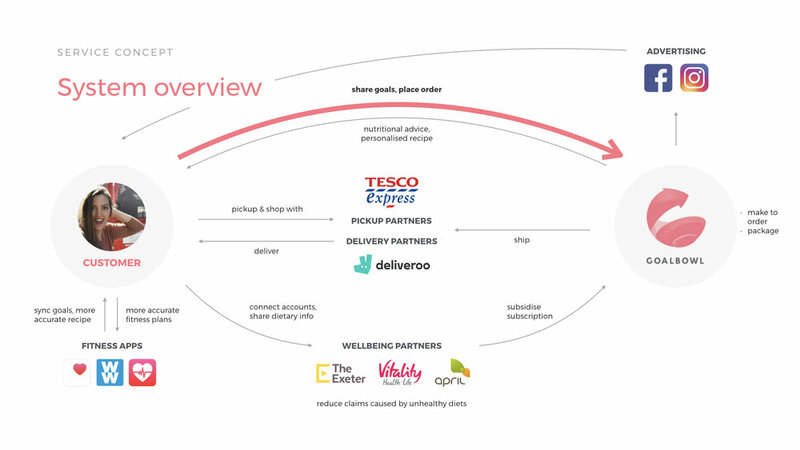 In addition to insights on the acceptance of the value proposition, this provided a real initial dataset of goals and choice of subscription frequencies of around 80 potential customers. A personalised scoop helps get the right portion size for each customer, as portion sizes vary depending on the ingredients, goals, physical activity etc.. In July 2017 Goalbowl was invited to present to Mauro Porcini (Chief Design Officer global) and David Marchant (Head of Design Western Europe) to discuss Service Design Thinking as innovation model at PepsiCo.